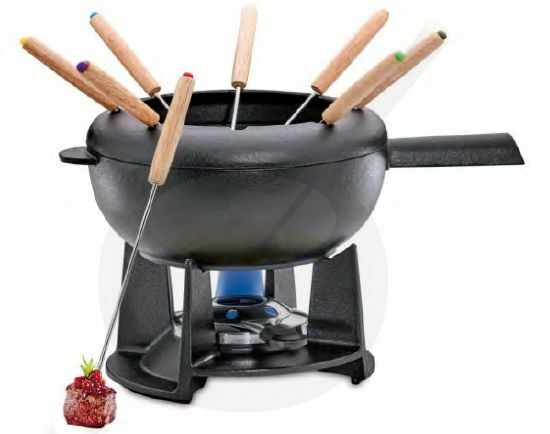 The Spring fondue set Saas-Fee combines tradition with high quality. 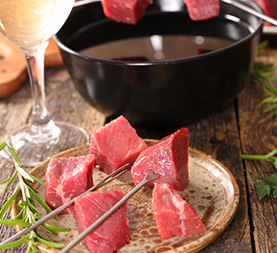 The cast iron pot enables the energy-saving heating of fat or broth even on low temperature. 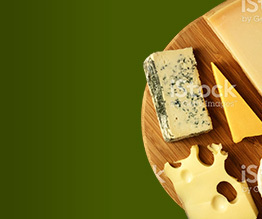 The Spring fondue set Saas-Fee combines tradition with high quality. The cast iron pot enables the energy-saving heating of fat or broth even on low temperature. 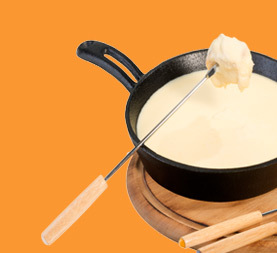 The material stores heat a particularly long time which makes the fondue set also ideal for cheese fondue. The massive stand ensures a stable hold. holds heat for energy saving and keeping the appliance warm.